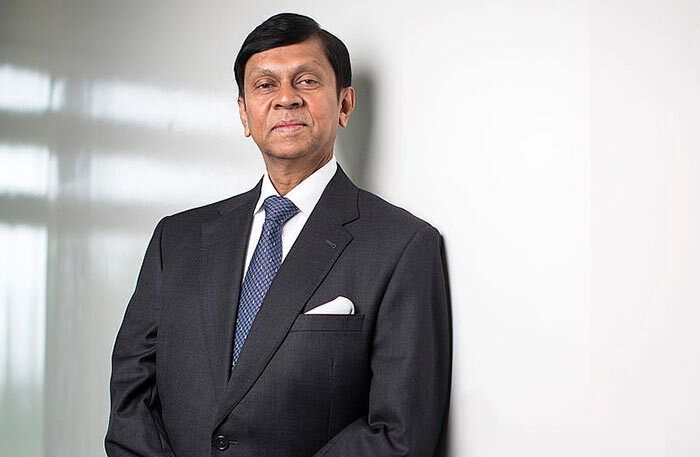 Former Central Bank Governor Ajith Nivard Cabraal, yesterday, said that besides his successor Arjuna Mahendran several others had to be held responsible for the biggest ever financial crime – the bond scams. He said four years had elapsed since the first bond scam took place, but the culprits were still free; the present government would not take action to bring the racketeers to justice. The people were yearning for justice from a future administration, he added. They want the losses and damages suffered by the country, economy and the people, recovered. d) Publicly confirming that he, PM Wickremesinghe, himself “insisted” that Mahendran change the system of issuing Bonds. n) Attempting to give an appointment as a “Consultant to the Ministry of Finance” with emoluments and perks enjoyed by an additional Secretary of a Ministry, to P. Samarasiri (Deputy Governor and highly controversial Chairman of the Treasury Bond Tender Board Samarasiri’s retirement in August 2017. Former CB Governor Cabraal said: “Three key Leaders of the UNP, Malik Samarawickrema (Chairman), Kabir Hashim (General Secretary), and Ravi Karunanayake (Deputy Leader), attended an unprecedented meeting at the Central Bank a day before the scam, purportedly for “determining the cash flow requirements” of the government. That matter is officially and routinely handled by the Finance Ministry officials in accordance with an established and transparent procedure, and no politician needs to get involved in same. However, no action has been specified so far in relation to the contravention of official procedures and political interference that has arisen, consequent to this highly suspicious and irregular meeting. “The Bank of Ceylon financed the fledgling Primary Dealer, Perpetual Treasuries Ltd, which carried out the scam, to the tune of a staggering Rs.10 billion. This was probably the first time in the history of the Bank of Ceylon such a facility has been granted at lightning speed. That suggests that a very powerful personality was behind the granting of the approval. Strangely, however, the Presidential Bond Commission did not pursue this angle with any enthusiasm although many persons were of the view that had such a probe been conducted, it would have easily revealed who was really behind the scam! “The Central Bank had “funded” the purchase of Treasury Bonds by Perpetual Treasuries Ltd on 1st April 2016, in a value of about Rs. 40 billion, through its Intra-day Liquidity Fund [ILF]. The evidence that transpired at the Bond Scam hearings clearly indicated the role played by Arjuna Mahendran, as the Governor, in allowing this unprecedented facility, which enabled Perpetual Treasuries Ltd to make an enormous profit, using the government’s own funds. This is indeed a clear-cut case of the Governor blatantly misusing his office and powers, and the Ministry of National Policies and Economic Affairs tacitly supporting the devious behaviour of the Governor, with impunity. However, the Bond Commission seems to have ignored this massive fraud in its Report, and no follow-up legal action has been instituted in this connection against Mahendran or any others. “At the Bond Commission hearings it was established that the Chairmen of the Bank of Ceylon, Peoples’ Bank and the National Savings Bank as well as certain senior officials of those State Banks had deliberately bid low for the Treasury Bonds at the Treasury Bond auction on 30th March 2016, as per instructions given to them by political authorities. The evidence also established that the EPF had been specifically ordered not to bid at that auction, thereby conveniently paving the way for certain Primary Dealers to “corner” the market. The Chairmen and officials of the State Banks also admitted that serious losses were incurred by the respective Banks as a result of following such practices. Notwithstanding such testimony, action is yet to be taken against those responsible for causing these massive losses at these State Banks. “Many issues were also raised about the conduct of several UNP MPs at the COPE meetings and about the Footnotes that were placed in the Sunil Handunetti COPE Report by those MPs. In fact, some UNP MPs have allegedly had hundreds of telephone conversations with those whose conduct was being investigated, while another COPE MP had even furnished transcripts of recorded evidence that was led at the COPE to the accused persons, through her son. But, as usual, nothing has been done to follow up these matters. “According to reliable sources, a letter was sent by the Central Bank clearly contradicting certain statements made in the “Footnotes” of the Handunnetti COPE Report. However, that letter was withdrawn a few days later by the Central Bank at the request of certain officials of the Prime Minister’s office. Such high-handed actions seem to be the manifestation of the acute abuse of power. However, not surprisingly, up to now, no legal action has been specified or instituted in this regard. “The Employees Provident Fund (EPF) loss as reported in the Bond Commission Report is grossly understated, when compared with the figures that were contained in certain “leaked” Central Bank internal reports, which have apparently suggested that the loss was over Rs.20 billion. In this regard, although a recommendation has been made in the Bond Commission Report that twice the amount of an alleged loss of Rs. 8.5 billion be “recovered” from Perpetual Treasuries Ltd, it is not clear as to what action is to be taken against: (a) those state banks who did not deliberately bid; (b) those politicians and officials who instructed the EPF not to bid at the Primary auctions; and (c) those who connived with one another in fashioning the Scam involving the EPF. “The Bond Scams from February 2015 to June 2016, inflicted staggering losses on the country, economy and people of Sri Lanka, and irreparably damaged the country’s reputation. However, the Scam which cost the state and the economy at least Rs.1,000 billion, was covered-up. It is also clear that the Presidential Bond Commission, too, was comfortable in not reporting on these matters which would have embarrassed the PM. “Through all this, over the past four years, the people have watched helplessly, the biggest-ever scam committed in Sri Lanka, unfold before their very eyes. The people have endured the determined cover-up being carried out by a group of ultra-corrupt politicians, officials and others, in utter dismay. The people have suffered in silence, the ignominy of observing the Mastermind who provided leadership to the Scams, pontificating “good governance” to others. The people have seethed in anger, when observing one of the main suspects in the Scam, Governor Arjuna Mahendran leaving the country with impunity and evading arrest. “Against this background, it is obvious that the present administration will never take the required steps to punish the wrongdoers or recover the losses, since the current rulers are totally compromised due to their own complicity in the Scam. “Therefore, the people are yearning for justice from a future administration. They want the losses and damages suffered by the country, economy and the people, recovered. They want those who covered up the Scams, both for cash and other material gain, named and shamed. In summary, they want all who have committed, as well as aided and abetted to commit Sri Lanka’s greatest fraud, exposed. In that regard, they want the different organs of the State to do their respective duties and uncover the evidence, establish the facts, analyse the findings, and use all legal measures available to the government, to bring the perpetrators to justice and to face the long arm of the Law. “For the sake of the country, it is vital that a complete investigation be done in the future since it is only by doing so, it would be possible to bring the Mastermind behind the Scam, and his cohorts in the Cover-up of the Scam, to justice. (a) Punish all perpetrators and accomplices of the Bond Scam to the full extent of the Law, without limiting the punishment only to the errant Primary Dealer Company, Perpetual Treasuries (Pvt) Ltd, and its officials, as being done at present. (b) Recover the ill-gotten gains earned and enjoyed by the Bond Scam Perpetrators and their accomplices, and where such funds have already been expended or transferred to other parties, recover the gains from assets standing to the credit of the Masterminds, their accomplices, and transferees. (c) Name and shame all those who have knowingly aided and abetted the Cover-up of the Bond Scams, including those who have carried out the “cover-up” tasks to secure political and/or other advantages for themselves. (d) Take steps to mitigate and/or stop the continuing losses that are being suffered by the government, economy and people as a consequence of the long-term ill-effects of the Bond Scams. (e) Implement the required administrative procedures and governance structures so as to permanently stop political interference. (f) Initiate a special high level inquiry to find out whether the massive funds illegally earned through the Bond Scam were used to finance the election campaigns of certain top-level politicians and whether such finances played a material role in bringing those politicians into power at the August 2015 General Elections. (g) Recognise all those who bravely exposed the Bond Scams, and stood firm in the face of intense political pressure unleashed by the top leaders and officials of the Government, who did their utmost to frighten and browbeat certain whistle-blowers and honest officials from exposing the Bond Scams and the quantification of the losses. Since a considerable quantum of relevant material and analysis carried out by many experts over the past four years is already available, the implementation of the Strategic Thrusts listed above could be carried out in a time period which will probably not exceed 12 months from the date of a new Government assuming office. Cabraal you robbed the Bank before Mahendran. Its possible a little less.